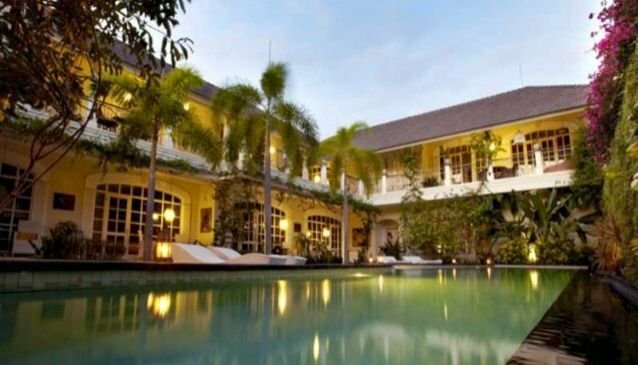 Casa Artista is themed luxury accommodation, in a peaceful location in the heart of trendy Seminyak. A #destination where you can relax while being a mere walk away from the beach and all the action around the island of Bali's best galleries, restaurants, shops, bars and cafes. The architecture and interior design of the house exude the old-world charm of Colonial Asia featuring 7 glamorous bedrooms, 1 junior suite, 1 spa suite with private roof top garden and 1 senior suite with private pool, a salt water swimming pool, a multi functioning lobby and garden and a dance studio and spa. Every room in Casa Artista is unique design fused with luxurious comfort and tailored service. Passion Rooms (4 rooms) - Inspiration Rooms (2 rooms) - Attraction Room (1 room) - Expression junior suite - Obsession Senior Suite Room (1 unit). PRIVATE SPA offers Meridian Balancing Therapy - Traditional Balinese Massage - Reflexology - Foot Massage.